Career Development Plan - Too Old for Ballet? To:- Career Development Plan - Too Old for Ballet? Thank you for contacting me, it's great to hear from you and welcome to my site! I'm pleased to know you are excited, and I am too. I love to keep in touch with how you are doing and help you improve with your dancing. Make sure you subscribe to my weekly emails too, which gives you a free copy of the seven secrets! have definitely come to the right place if you want to invest your heart and soul into ballet. There are pages and pages full of questions, answers, advice, knowledge and encouragment! If you haven't already, then you must take a careful look at my career development plan section. There you will find the personal development plan, which gives you a rough estimation of the steps you have to follow in order to become a dancer. They will give you a vague outline of what it takes and a guidline to the ages. I am guessing you are 14? 15? 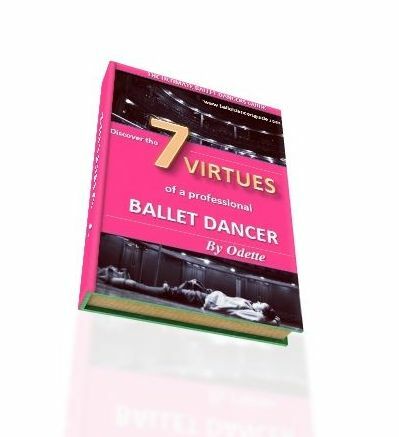 It sounds like you have found something you are very passionate about in ballet and want to fulfill it to the very best. I have to be honest to say how tough it is to become a dancer. I have grown up to see not even the most talented dancers make it to a professional and many of my own friends drop out, or give up. It is tough competition and you need many factors to help get you to a professional level. If I were you, for now, I would take one step at a time and get your foundations secure in ballet first. I am aware that by ages 16 you really should be taking ballet more seriously and regular to become a professional dancer. This is the age that is important to be in a good place of training to develop you for the next few years. Have a think with what I have said here, but also know that you are fulfilling your passion too by studying ballet as a hobby rather than a career.